The Juvenile Diabetes Research Foundation is all about research in action! With efforts addressing medical research and application, media interaction, wellness instruction and lifestyle management, JDRF engages families living with Type 1 Diabetes by providing support in multiple ways. Extending their influence into the political arena, JDRF also advocates for their young charges, championing research in curing, treating, and preventing the disease. They host functions Canada-wide and throughout the year to raise awareness and funds, and they encourage Canadians to take charge of their own events as well. Communication is key, and they keep folks up to the minute with their blog and social media efforts. Their newsletter is available online, too. You’ll have no problem finding ways to get involved with their work with many active fund raising efforts in communities near you. Would you like to join over 45,000 people across Canada in a walk to raise money for Diabetes Type 1 research? Check out this link from JDRF Canada’s website to learn more about this opportunity, or to look up other events happening in your area! Can’t make it to an event, but want to contribute somehow? 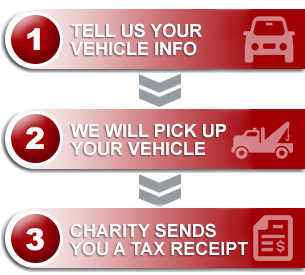 Check out our vehicle donation program to learn how you can get involved without even leaving your house! Donate Now!